Enjoy a Leafy Sea Dragon Tour with The Dive Shack! Explore one of the best places in the world to see this amazing creature! 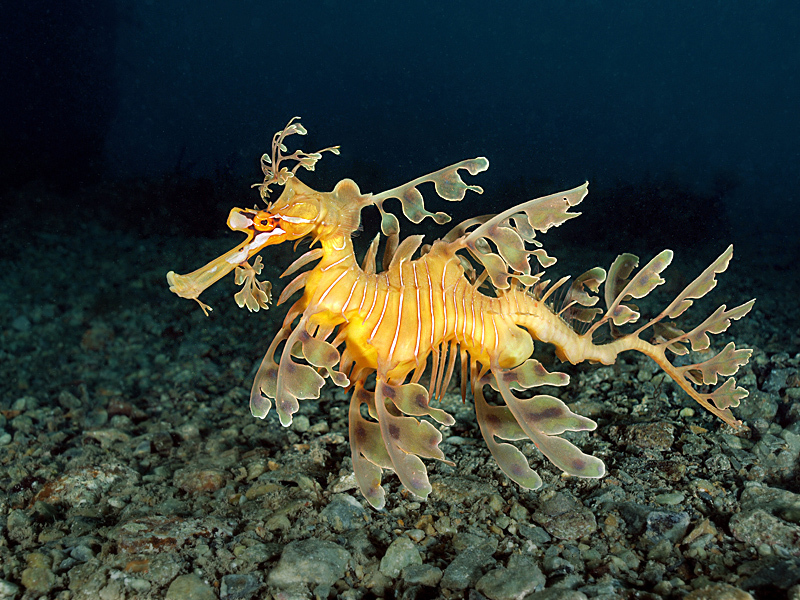 South Australia is world famous as a diving destination because of it’s marine emblem: The Leafy Sea Dragon. The term Leafy Sea Dragon is derived from it’s magical appearance, that serves as perfect camouflage in it’s natural habitat. 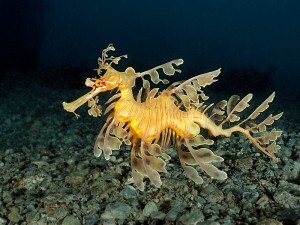 They are larger than most sea horses, growing to about 20 – 30 cm (8 – 10 inch) and feed on plankton and small crustaceans. These peaceful animals are easily stressed so remember to be careful to maintain neutral buoyancy, equipment streamlined and gentle kicks under the water. If you’re a photographer it is recommended to keep flash shots to a maximum of 3-4 per encounter. * A minimum of 2 days notice is required to have adequate time to make arrangements for your tour. Call the shop on (08) 8371 5822 to book a tour with us!